Note: I recorded and posted today Word Magazine 91: 2 Peter 3:10 (listen here). In this episode I give an overview of textual disputes relating that have arisen related to this verse in recent years and offer some reflections why this textual matter is significant. Since the release of the NA 28, 2 Peter 3:10 has become one of the most contested verses in the NT. Though I have made mention of 2 Peter 3:10 in several other WMs (see especially WM 27: Rejoinder: James White and 2 Peter 3:10), I wanted to do a WM that focuses primarily on the text issues related to this verse. I did a blog post on this back in September 19, 2014, but never did an audio version of that article, so I will be drawing upon (reading) it in this edition. The background to this dispute is found in the fact that the NA editors, for the first time, applied the so-called Coherence-based Genealogical Method (CBGM), which has been used in the scholarly edition of the Bible known as the Editio Critica Maior (ECM), in the NA28 handbook edition of the modern critical Greek NT but only in the catholic epistles. The NA28 (2012) lists 33 verses in the catholic epistles in which changes were made from the NA27 (1993) (see pp. 50*-51*). The most significant of these changes are found here in 2 Peter 3:10 and in Jude 5 (change from “Lord” to “Jesus”). There is dispute about the ending of 2 Peter 3:10. NIV 2 Peter 3:10 But the day of the Lord will come like a thief. The heavens will disappear with a roar; the elements will be destroyed by fire, and the earth and everything in it will be laid bare [kai ge kai ta en aute erga eurethesetai]. ESV 2 Peter 3:10 But the day of the Lord will come like a thief, and then the heavens will pass away with a roar, and the heavenly bodies will be burned up and dissolved, and the earth and the works that are done on it will be exposed [kai ge kai ta en aute erga eurethesetai]. The difference between the two texts regards the final verb. Should it read, as the traditional text does, that the works in the earth “shall be burned [katakaesetai, the third person singular, future passive of katakaio, to burn up or to consume]” or should it read, as the NA 27th does, that the works of the earth “will be laid bare [eurethesetai, the third person singular, future passive form of heurisko, to discover or to find]? There is, however, yet another major issue that emerges from this text which relates to the matter of conjectural emendation. This issue, in fact, led to a change in the NA 28th edition of the critical text. 2 Peter 3:10: But the day of the Lord will come like a thief. The heavens will disappear with a roar; the elements will be destroyed by fire, and the earth and everything in it will not be laid bare [kai ge kai ta en aute erga ouch eurethesetai]. Here I will draw on the critical apparatus of both the NA27 and NA 28. The traditional text is supported by the following: A, 048, 33, 1739 (varia lectio), 2464 (with minor differences), and the vast majority of extant Greek manuscripts. In addition, this reading is also reflected in the following versions: The Clementine Vulgate, the Harklean Syriac, and the Bohairic Coptic. The NA 27 reading is supported by: Sinaiticus, Vaticanus, K, P, 0156 (possibly), 323, 1241, 1739 (as one alternative). It is also found in a few Philoxenian Syriac manuscripts and a marginal reading in some Harklean Syriac manuscripts. The NA 28 reading, which conjectures the inclusion of the negative particle ouchis not, of course, found in any extant Greek manuscripts. It is, however, found only in the Sahidic Coptic, some manuscripts of the Philoxenian Syriac, and perhaps in Dialect V of the Coptic (only probable coming from a citation from a Father). Metzger in his Textual Commentary notes these and a few others (see pp. 705-706; citations here and below are from the Corrected Edition, 1975). Metzger observes: “In view of the difficulty of extracting any acceptable sense from the passage, it is not strange that copyists and translators introduced a variety of modifications” (p. 706). It is not altogether clear, however, why the traditional text would not be considered just as legitimate as the others. In fact, it seems likely from the alternative suggestions that they are theologically motivated, attempting to offer an alternative to a reading suggesting that the earth will be burned or destroyed at the end of the ages. The traditional text rendering has ancient support. It was the reading eventually adopted by the majority. Even though the NA27 reading is supported by the twin heavyweight of Sinaiticus and Vaticanus, Metzger gives it only a “D” rating and despairs that none of the existing readings “seems to be original” (p. 705). The NA 28 editors simply followed Metzger’s trajectory by offering a conjecturally emended reading which inserts the negative particle ouch, even though it is found in no extant Greek manuscripts and only weakly attested in the versional witnesses. The abandonment of the traditional reading in the 19th century was primarily based upon adherence to the uncials (Aleph and B). One wonders, however, if it did not also have something to do with lack of comfort with the language of fiery destruction and judgment. This variant demonstrates that the current modern critical editors are willing to make conjectural emendations to supply what they believe to be the best readings. They are now guided by the CBGM and not by adherence to the uncials (or even the papyri, for that matter). As I have pointed out before: It would be hypocritical to reject TR readings (like the CJ) simply based on weak ms. attestation if one has adopted a method that allows for conjectured readings based on no extant ms. evidence. One interesting phenomenon that seems to be taking place on a limited level is the emergence of multiple modern critical texts of the NT. With the NA 26 (1979) there began a unified modern critical text, as the text (though not the apparatus) was brought into agreement with the UBS edition, both being under the same editorial control. This period of unity (extending from 1979-2012) may be fracturing. 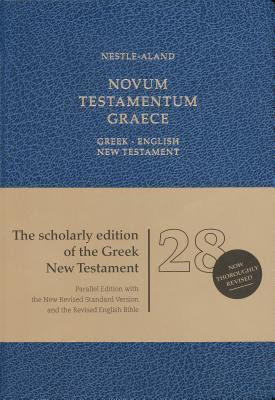 There is no available the Greek NT SBL edition (2010) edited by Michael W. Holmes and, more recently, the THGNT (2017). The latter notably does not follow the CBGM reading at 2 Peter 3:10. I think the first major translation to do so will likely be the “new” NRSV, which is being revised under the oversight of the SBL (see this post). Textual study of this single verse makes clear the contrast between the confessional view of text and the modern critical view. In the former there is textual stability and in the latter there is constant instability. Although these textual critics and their supporters will proclaim they are fairly confident that they possess a mostly accurate text, their own presuppositions mean that they can never acquire complete certainty. Who knows what other ancient manuscripts might be located in the Jordanian desert which will now need to be added to the mix? (p. 301). There is an alternative: the confessional text.